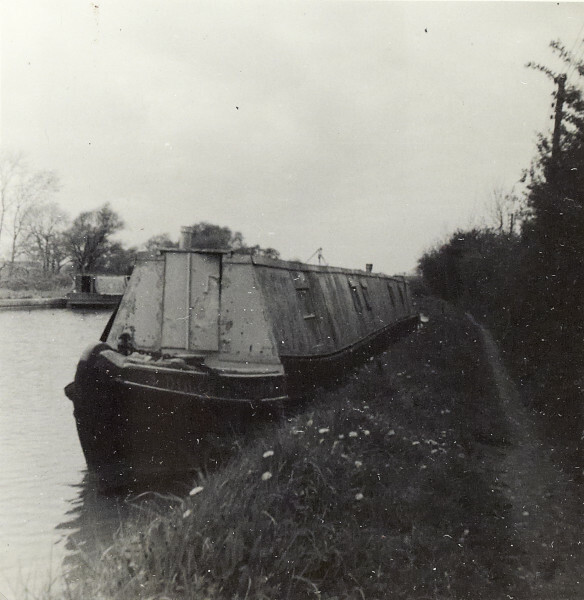 "Derelict Pleasure Craft at Fosse"
Black and white photograph of an unidentified derelict narrowboat at Fosse. Taken from the side of the canal facing the bow of the narrowboat, there is another unidentified narrowboat visible in the background. This photograph is on page 25 of the C N Hadlow photograph album.